Hi-Rez announced that Realm Royale, the Battle Royale mode spin-off of Paladins, is now available via Steam Early Access free of charge. The game (then called Paladins: Battlegrounds) was announced at HRX 2018 where we had the chance to interview Hi-Rez Studios COO Todd Harris. Realm Royale’s class-based, ability-driven combat brings a new experience to the battle royale genre. It’s a battle royale that feels like the perfect mixture of an open-world PvP MMO and your favorite hero shooter. You can’t win a round of Realm Royale by hiding in a bathtub. Gameplay elements like Forges reward players for staying active and taking risks. 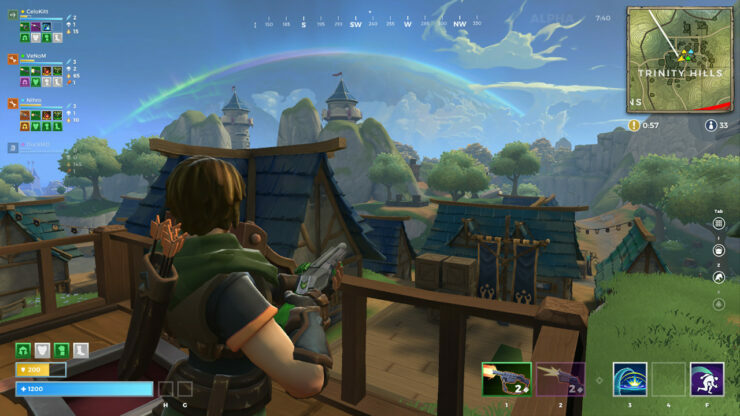 Realm Royale seems likely to be due for release on PlayStation 4 and Xbox One as well, just like its sibling Paladins, once it gets more polish. Explore a fantasy world in Realm Royale, the new Battle Royale inspired by the hit game Paladins. Are you an Assassin, a Warrior or a Mage? Choose your class, then loot fantastic weapons and magical abilities to create your own Champion. Stay ahead of the deadly fog by mounting up and moving out. Will you be the last Champion standing?